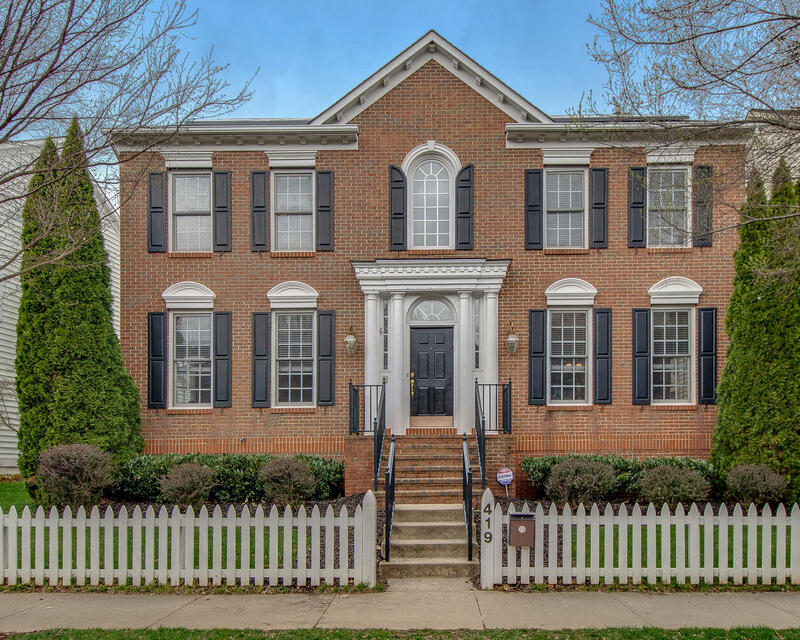 Located conveniently within the Lakelands community, you will enjoy the favorable proximity to the amenities available to residents in this stunning 4 bedroom, 3.5 bath, NV Chesterfield model. Enter through the dramatic two-story foyer with a soaring 19-foot ceiling and you are greeted with hardwood floors that span the entire main level to include the private study with French door entry, and formal living room and formal dining room, both with room-brightening bump-out bay windows. You will be impressed with the open-concept chef’s kitchen and its butcher block island with room for seating, neutral quartz countertops, linear mosaic backsplash, and stainless-steel appliances. Recessed lighting, pantry storage, and butler’s pantry are just a few more aspects that highlight the kitchen. The family room off the kitchen that features a gas fireplace with a stunning herringbone surround, and the main level laundry room complete this level. A grand staircase leads to the upper level of the home where the hardwood floors continue. The massive owner’s suite is accented with a tray ceiling, spacious walk-in closet and luxurious full bath that comes equipped with a double sink vanity, stall shower, Jacuzzi whirlpool tub and private water closet. The three additional bedrooms are also large in size and share a second full bathroom. The entertainment possibilities are endless in the finished lower level of the home, which features a sprawling recreation room with recessed lighting. The lower level also includes a bonus room, a full bath, a storage room, and walk-out stairs to the fenced backyard complete with a grassy area, paver patio, and detached 2-car garage.